Lawyers investigating their own criticised by regulator. 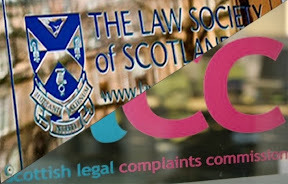 LESS than a week after the Scottish Legal Complaints Commission (SLCC) announced Law Society of Scotland insider Neil Stevenson as their latest Chief Executive, the pro-lawyer regulator has released a report calling for more transparent processes in the Law Society’s handling of complaints where lawyers investigate themselves. 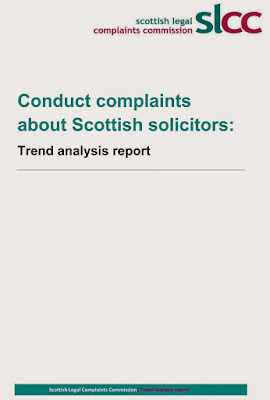 The report - compiled before the Law Society took back control of the ‘independent’ SLCC last week - analyses trends in how the Law Society of Scotland handle conduct complaints about solicitors from 2009 to 2014.
the timescales involved in investigations; and complaint outcomes. It also covers the two different outcomes available to the Law Society of Scotland’s Professional Conduct Committees when they uphold a conduct complaint - Unsatisfactory Professional Conduct and potential Professional Misconduct. The report reveals that although conduct complaint numbers and timescales are generally decreasing, on average, hybrid complaints – those which incorporate elements of both conduct and inadequate service – take 2 years to be dealt with. This increases to 3 years if a prosecution against the solicitor for Professional Misconduct is then raised at the Scottish Solicitors’ Discipline Tribunal. Whilst the number of decisions being made by the Law Society of Scotland and the number of complaints upheld is steadily increasing, the level of compensation, fines and training orders remains low. Compensation, fines and training orders are all available as sanctions when the Law Society of Scotland Committees uphold a complaint as Unsatisfactory Professional Conduct. Although there is a tariff and written guidance relating to compensation, no guidance exists for levels of fines. Neither the compensation guidance nor the Unsatisfactory Professional Conduct decisions are made available to the public. If the complaint is upheld by a Committee as potentially being Professional Misconduct, the Law Society of Scotland appoints a fiscal (usually a solicitor) to prosecute the solicitor named in the complaint at the Scottish Solicitors Discipline Tribunal. In at least 13 instances, the fiscal referred the complaint back to the Committee for the decision to be reconsidered. The SLCC said they question whether it is right that the Law Society of Scotland Committee subsequently revisits its decision – based on the advice of one individual, the fiscal. * Considers fast-tracking certain types of complaints. * Continues to work with the SLCC to improve the effectiveness and efficiency of complaint handling, particularly in relation to hybrid complaints. * Reviews the consistency of sanction awards. * Revises and publishes written guidance and/or a tariff for Unsatisfactory Professional Conduct sanctions. * Considers publishing information in relation to Unsatisfactory Professional Conduct decisions. * Reviews the involvement of the fiscal in the determination process and remitting complaints back for secondary decisions. The report follows a previous report on trends in service complaints. 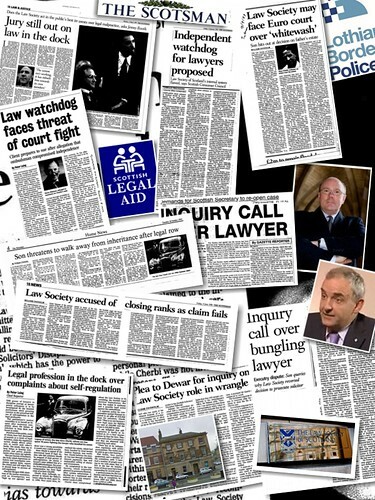 Under the Legal Profession and Legal Aid (Scotland) Act 2007, the SLCC is the ‘independent’ single gateway for complaints about solicitors and other legal practitioners in Scotland, complaints about conduct are then referred to the professional bodies to investigate – leading to lawyers investigating their own colleagues – even when evidence of law breaking is uncovered. 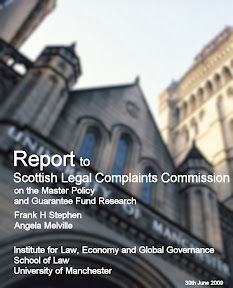 In addition to investigating complaints about inadequate service by solicitors and firms, the SLCC – which has cost Scots clients a staggering £20 million plus since 2008 - has a role in investigating “handling complaints” – complaints about the professional bodies’ investigations – and in monitoring trends in complaints. The SLCC has done little to curb the excessively pro-lawyer conduct of Law Society investigations and has had little effect at the Scottish Solicitors Discipline Tribunal (SSDT) – at one stage being criticised by the SSDT for not presenting enough cases for prosecution. 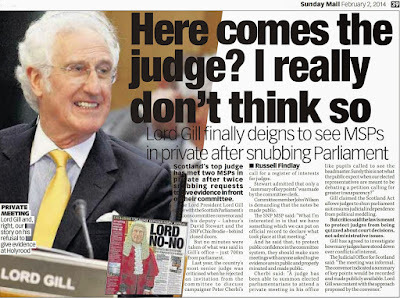 Transparency is unwelcome in Lord Gill’s court. 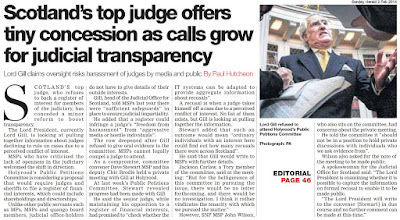 SCOTLAND’S top judge is not a big fan of transparency - that much is clear. 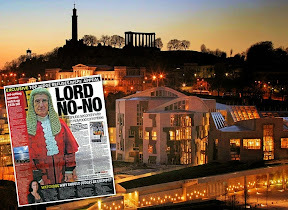 Lord President Lord Brian Gill (73) is not much keen on change, governments, politicians, political process, legal reforms, accountability, the Scottish Parliament, Freedom of Information, the media, journalists, Julian Assange, Wikileaks, protesters standing on the Heart of Midlothian, or anyone else who does not fit into the judicial world of legal vested interests. But, Gill does like classical music – blaring out over all eight octaves. Our top judge also enjoys his ‘diplomatic commitments’ – even if sometimes his Judicial Office officially deny Gill and colleagues secretly travelled to the far east for the judiciary’s version of a good old ‘Top Gear’ style lads day out – lasting eight days. 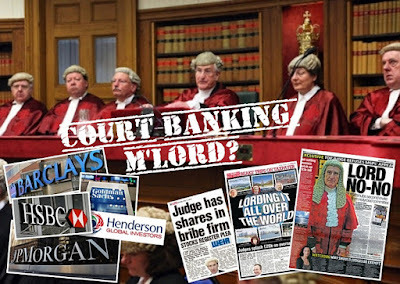 The courts – as Gill told last week’s Commonwealth Law Conference - are his courts, not ours. We pay for it all, but that is as far as it goes. 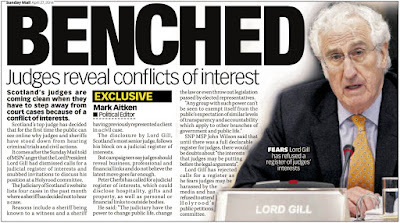 Do not expect accountability, or transparency for near on a hundred million pounds a year – for that will infringe on Judicial Independence – claims Gill. Last week at the Glasgow Conference event, the ageing Gill even went so far as to publicly define transparency, along with well meaning governments & politicians - as “insidious”. Gill just had to get in some digs against anyone and everyone – right before he, Lord Neuberger and other judicial figures fled the conference after learning of the booking of Wikileaks founder Julian Assange. 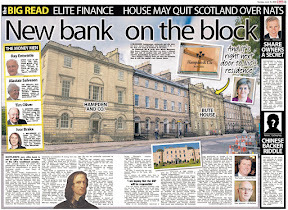 If people found out judges are little more than “Victorian” bankers cloaked in 18th Century ermine gowns - life, and Scotland as we know it - would cease to exist. 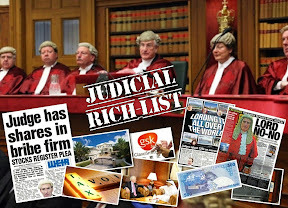 The sheer sums of judicial wealth, the efforts gone into hiding it, the connections, the links, the business, the money, the property, the assets, the travel, and the criminal records of judges - are simply too much to disclose – for Gill. 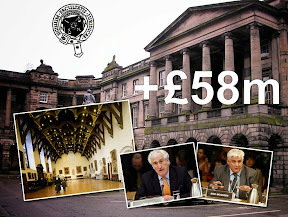 But seriously, would anyone be surprised to learn the judiciary are collectively hiding billions under their beds - after we all witnessed the spectacle of a 73 year old judge waging a two year war with the Scottish Parliament in a bid to halt MSPs investigations and hearings on accountability and transparency in the judiciary? The answer of course is No. Everyone gets the argument that judges should, like everyone else, declare their interests. Transparency is good, even if Gill says it is not. The more Gill protests, the more we know there is something to hide. One abiding theme of the mounting chapters of the Book of Brian and his battle with transparency, are his Leveson inquiry style attacks on journalists and the media. What could possibly be the motive for a top judge to demonise journalists, the media, well meaning reforms and all things transparency? The answer to this is an easy one. 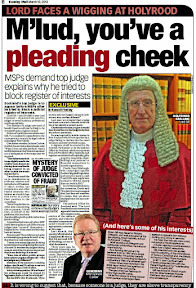 Lord Gill and his closed shop Scottish Court Service – are about as open and transparent as a brick wall. If you ask too many questions, you are liable to get clobbered by an ageing judge holding one of those bricks. 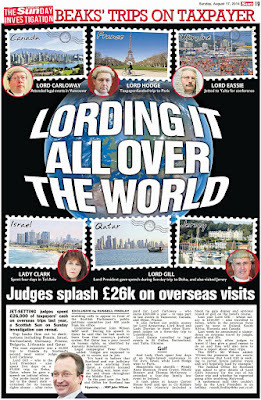 Last year - in between state visits to Qatar, authorising dodgy media guides on how court staff should reply to journalists, and churning out edicts on judicial travel – but only after being rumbled as a big time jet setter funded by public cash - Lord Gill cast his aim at the media and threatened to block journalists from his courts. 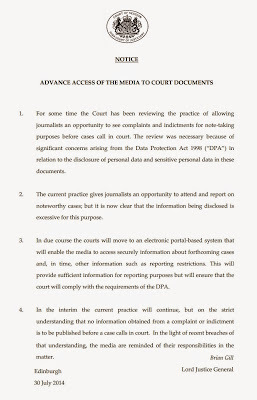 The terms of Gill’s anti-media proclamation were clear - journalists were only in court at his pleasure. If his displeasure was incurred, the media would be denied access to his courts. Gill’s fit of pique was a little bit sad, certainly a bit bad, and definitely, a bit mad. 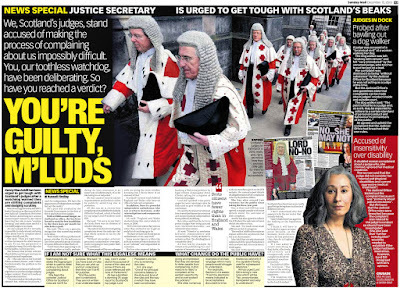 The following report from the Scottish Sun newspaper is how Lord Gill’s stand against the press was viewed by the media. HE jets around the world to be feted by wealthy tyrants involved in organised killings and corruption. He rose from the shadow of Barlinnie prison in Glasgow’s east end to mix with the elite of Scotland’s chattering classes. Far from the tenements of post-war and gang-infested Riddrie, his fortune is funnelled into a complex network of property and shares. With a razor-sharp mind, he treats critics with a barely concealed contempt. Now in his 70s, and with two sons following in his footsteps, the white-haired father-of-six retains a tight grip on his empire. 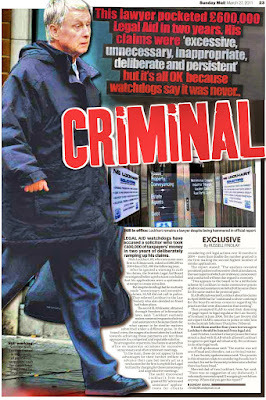 Despite the CV, Brian Gill is not some Mr Big from the sewer of organised crime. 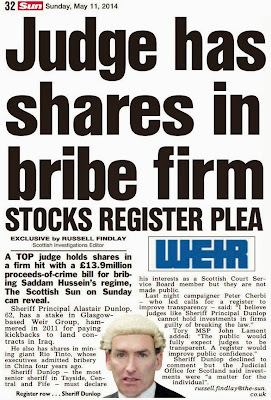 He’s Scotland’s top judge whose wealth, status and overseas connections are from life on the other side of the law. But our two-bob crooks can but dream of the power wielded by Brian – or (according to society bible Debrett’s) the Lord Justice-General and Lord President of the Court of Session. From his book-lined office in Parliament Square, Brian quietly issued a 216-word public pronouncement on a single sheet of A4. It amounts to a cloak of judicial ermine being placed over the workings of our criminal courts. He believes that us grubby hacks – and you, our readers – already know too much, saying “it is now clear that the information being disclosed is excessive”. He cites the Data Protection Act 1988 as his motive, when that law clearly exempts information relating to legal proceedings. Perhaps Lord Air Miles was inspired by his recent jolly to Qatar, whose oil-rich emirs know all about keeping the pesky media in check. Brian’s anti-transparency fatwa would be laughable were it not so serious. The free press in this country has valiantly resisted a sustained attack culminating in the tedious Leveson Inquiry – led by another judge called Brian. 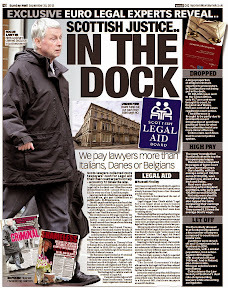 Our Brian has already overseen a creeping tightening of the media’s access to civil court cases. So when the police, NHS and councils pay out vast sums of taxpayers’ cash in grubby compo deals, the public are kept in the dark. 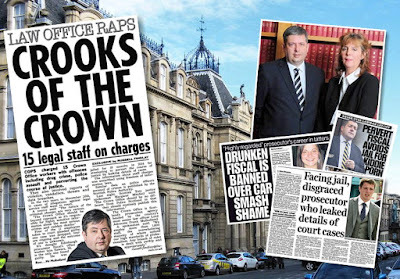 Brian’s regressive bid to curtail access to criminal cases will be music to the ears of Justice Secretary Kenny MacAskill, an ex-lawyer addicted to cheap headlines about falling crime. The European Commission revealed two years ago that in Scotland 59 per cent of crimes reported by police to prosecutors didn’t get to court. That compares to just nine per cent in England and Wales. Our civil and criminal courts are in danger of becoming little more than private playgrounds for lawyers to strike secret deals. 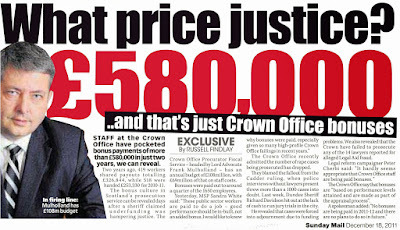 Eric McQueen, Scottish Court Service chief executive, should be telling his board chairman Brian to get a grip. In the US - where the public right to know runs through the heart of the justice system - they have the PACER website. Anyone, from anywhere in the world, can access 500 million court documents from all 50 states. Brian’s chilling 216-word edict ought to send shockwaves through the Scottish Parliament. He has already shown contempt for Holyrood by refusing to discuss a proposed register of interests for him and his brethren. Let’s hope that some of our 129 MSPs have some fire in their belly. It’s time for Brian and his judicial chums to learn about scrutiny and accountability. And perhaps his next foreign junket should be to land of the free rather than a despotic Middle East regime. Law Society’s Neil Stevenson retakes complaints quango for lawyers.THE LEGAL profession’s definition of ‘independence’ took a full turn yesterday as the ‘independent’ Scottish Legal Complaints Commission (SLCC) and the Law Society of Scotland announced long time Law Society insider Neil Stevenson is to be the SLCC’s latest Chief Executive, replacing former Foreign Office careerist Matthew Vickers who took on the role in June 2012. 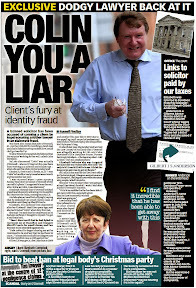 Stevenson’s appointment to the tarnished position as head of the pro-lawyer anti-client SLCC – created in 2008 and at a staggering cost since to Scots clients of over £20 million in complaints levies paid by solicitors and recovered via legal fees to clients – comes after widely reported evidence showing the SLCC has failed to live up to expectations of dealing with rising numbers of rogue solicitors who rip off their clients. 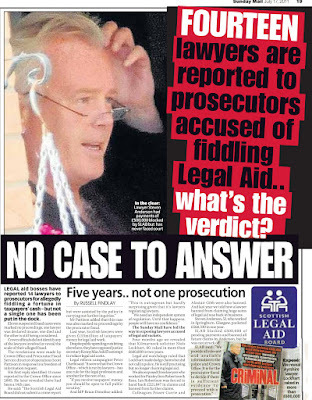 And, the Law Society’s decision to retake control of the ‘independent’ SLCC by placing one of their own in charge also comes after a challenging year for self regulation of the legal profession – left reeling from the effects of the damaging BBC Scotland investigation “Lawyers Behaving Badly” - which blew the mask off lawyers investigating their own and legal aid fraud. 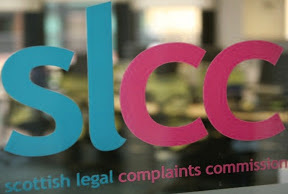 For the past fifteen months since the BBC programme aired in January 2014, the Law Society have demanded significant changes at the SLCC after concluding the hapless complaints quango – staffed mostly by former Law Society insiders – failed to stand up for lawyers during the BBC Scotland investigation. And, earlier this year, further friction between the two legal regulators emerged when the SLCC criticised a rigged poll organised and funded by the Law Society which claimed solicitors are ‘well liked’. Articles on the client satisfaction poll - published in some media outlets were written by the Law Society’s own president Alistair Morris in which the Law Society President extolled the virtues of lawyers, backed up with dodgy statistics. Another twist to the friction between the SLCC & Law Society emerged after it was revealed a series of communications between the SLCC and law reformers brought about a tipping point forcing Law Society bosses to act. The replacement of an outsider with a Law Society insider as head of the SLCC have led to further suggestions the anti-consumer quango can do nothing without a say so from the Law Society. In an announcement the SLCC said yesterday: The Scottish Legal Complaints Commission, the independent body for complaints against solicitors, advocates and other legal practitioners in Scotland, has announced the appointment of Neil Stevenson as its new Chief Executive Officer. 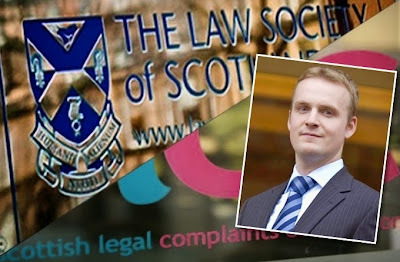 Neil Stevenson has been with the Law Society of Scotland since 2004. He is currently the Society’s Director of Representation and Professional Support. He will be joining the Commission in mid-July. As the new CEO Neil’s priorities will be to drive the full implementation of the SLCC’s strategy – to provide an excellent complaint resolution service for legal complaints in Scotland, to provide guidance on service standards to the profession and consumers and to raise the confidence in the legal profession in Scotland. Bill Brackenridge, Chair of the SLCC welcomed the appointment. He said : “I am delighted to welcome such an accomplished professional to the Commission; he will inspire our staff to deliver their challenging role and move the Commission to a higher level. Jack continued: "Whilst I am sorry to lose Neil from the Law Society, we will benefit from his hard work for many years to come. In his time as director of representation, he has helped to transform the range of services and support we offer the profession. He has championed our innovative new Smartcard project, ensured we remain a leader on equality and diversity, and has helped develop our new long term strategy. All of us at the Law Society are grateful for everything he has done. "I am now looking forward to working with Neil in his new role. 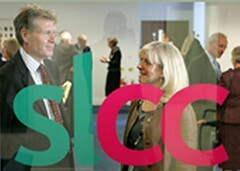 The relationship between the Law Society and the SLCC has improved greatly over the last few years. Given the specific roles we play in the regulation of solicitors, this has been important, particularly for the public who depend on both of our organisations to work together to protect their interests." 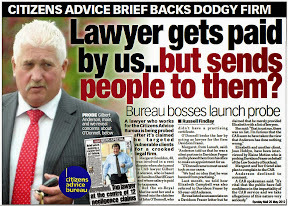 Stevenson’s directorship of “Law Care” – a charity set up by the legal profession to help and defend solicitors who have been found out for ripping off their clients – will be of interest to clients who end up in the unenviable position of having to approach the SLCC to make a complaint about their solicitor. The charity has filed numerous reports with the pro-lawyer SLCC & Law Society Complaints Committees - pleading for corrupt solicitors to be let off the hook on everything from embezzlement to faking up paperwork. 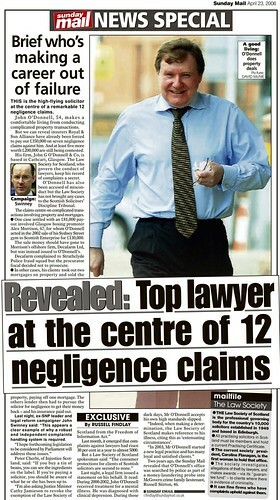 Stevenson’s directorship of the Scottish Arbitration Centre may also put him in conflict of interest with SLCC policy of forcing complainants into the murky world of arbitration – where clients who are ripped off for large sums of cash by their solicitor end up with only a pittance in return. 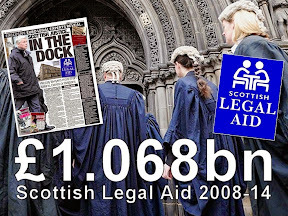 The Scottish Arbitration Centre - started by the Scottish Government and backed by lawyers, is a sponge for taxpayers cash and international trips by lawyers & former judges who are trying to promote Scotland’s tarnished legal sector as a haven for international mediation. The post of the SLCC’s Chief Executive has seen considerable controversy since the legal quango was created in 2008. Now, eight years on and five Chief Executives later, the SLCC is looking for another boss to steer it through troubled waters and continuing accusations of pro-lawyer bias. 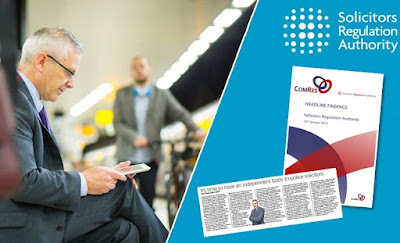 The SLCC’s first Chief Executive – civil servant Richard Smith - resigned from the role after disagreements about how the SLCC would act as a regulator. Mr Smith was then replaced by another civil servant before Mrs Masterman was eventually appointed as the first ‘official’ CEO. Concluding a turbulent few months which saw exchanges of letters between current Deputy First Minister John Swinney and Masterman over claims and counter-claims about the Master Policy – reported here: SLCC’s Eileen Masterman resigns, questions remain on attempt to mislead Cabinet Finance Chief John Swinney over secret meetings with insurers Marsh’ Masterman stood down from the SLCC – which by that time had suffered significant reputational damage. 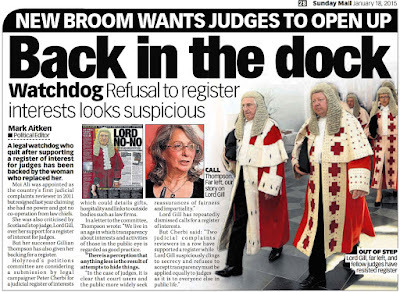 After a speedy recruitment round, Rosemary Agnew then became the SLCC’s fourth Chief Executive, reported here: The £80K job no-one wants : Lawyers lobby seek FIFTH time unlucky Chief Executive for Scottish Legal Complaints Commission role. 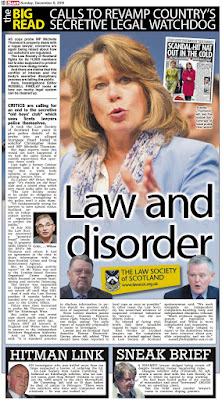 However Ms Agnew later resigned to take up the post of Scottish Information Commissioner in early 2012. 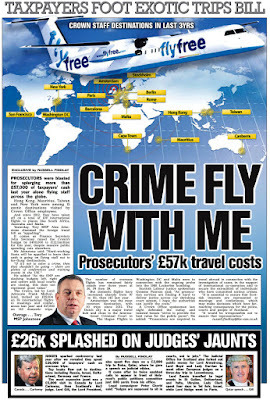 The SLCC’s current and now outgoing CEO Matthew Vickers took on the role in June 2012, reported here: “Customer Service” main focus for Ex-Foreign Office Consul taking over as FIFTH Chief Exec at ‘anti-consumer’ Scottish Legal Complaints Commission. 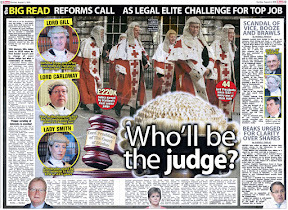 Top judge Brian Gill attacks calls for judicial reforms. 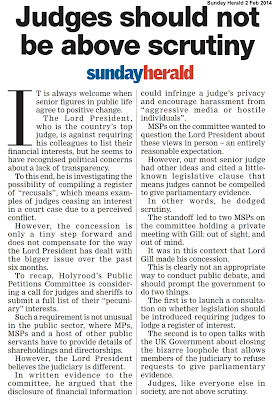 IN a speech to the Commonwealth Law Conference held in Glasgow SECC last weekend, Scotland’s top judge Lord President Lord Brian Gill accused government, legislators and transparency as being “insidious” threats to his way of doing things and the judiciary at large. 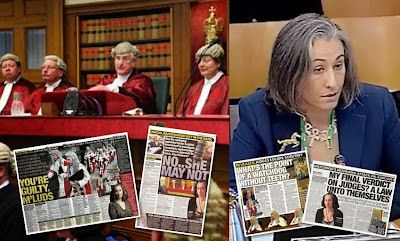 The lengthy speech from Gill (73), supposedly on independence of the judiciary & legal profession ended up as a bitter tirade aimed at politicians and those calling for reform of the secretive world of the nation’s judiciary and the vested interests of those at the top of the justice system. 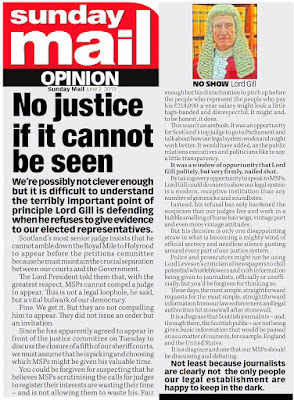 And, Gill – Scotland’s longest serving judge - went on to tell his audience of lawyers, judges & academics that protesters he encountered standing on the Heart of Midlothian in Edinburgh’s Royal Mile were lucky they were not dragged off by Police. 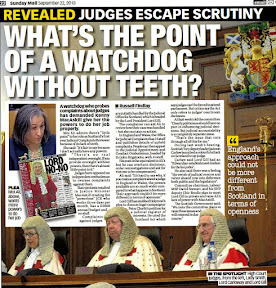 The barbed comments from the ageing judge against all and sundry come as Gill continues to fight a bitter two year battle against Holyrood msps who overwhelmingly support proposals to establish a register of interests for members of the judiciary as called for in Petition PE1458: Register of Interests for members of Scotland's judiciary. 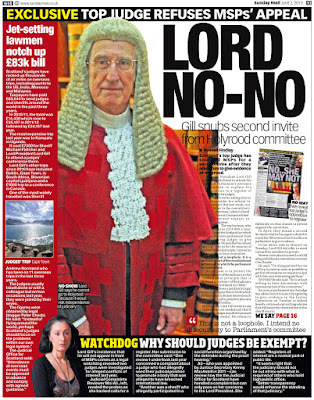 Since early 2013 Lord Gill has refused three invitations to appear before the Scottish Parliament’s Public Petitions Committee and be questioned on the issue of judges refusing to declare their interests. 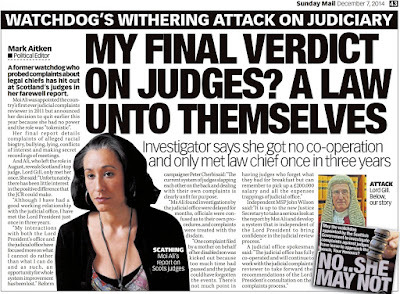 The top judge has instead sent several strongly worded letters to msps warning them they cannot compel a judge to appear at Holyrood. 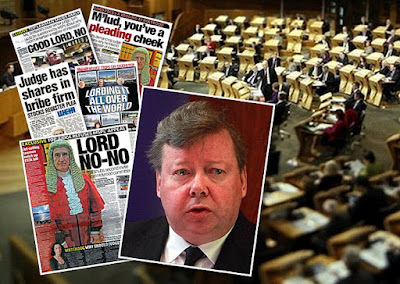 Gill used a loophole in the Scotland Act to dodge questions on his hostility to transparency and also implied in a further letter he may have to reconsider allowing judges to cooperate with the Scottish parliament in the future. The proposals to create a register of judicial interests envisages the creation of a single independently regulated register of interests containing information on judges backgrounds, their personal wealth, undeclared earnings, business & family connections inside & outside of the legal profession, offshore investments, hospitality, details on recusals and other information routinely lodged in registers of interest across all walks of public life in the UK and around the world. 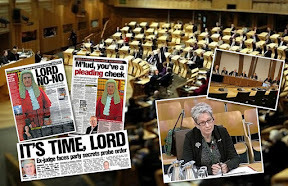 Faced with investigating the secretive world of judicial vested interests, MSPs who sit on the Scottish Parliament’s Public Petitions Committee instead took evidence from Scotland’s first Judicial Complaints Reviewer (JCR) Moi Ali. During questions at the Scottish Parliament’s Petitions Committee, Moi Ali told msps there was little transparency or accountability in Scotland’s judiciary. 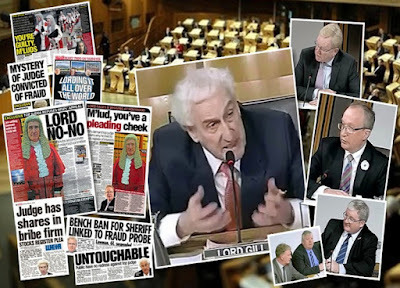 Speech given by Lord Gill to Commonwealth Law Conference Glasgow 2015 Continuing his lengthy seventeen page speech, Gill told his audience of legal professionals that judges lead a lonely life and have no support from anyone else except themselves. 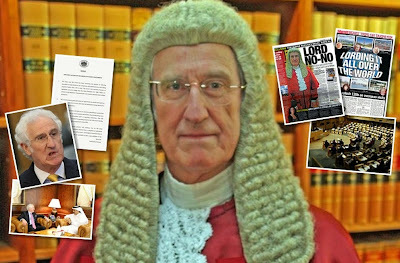 However, the sad lonely life of a judge - as Gill would have the public believe - does not appear to preclude the judiciary from becoming involved in tax avoidance schemes, huge movements of wealth around the world, investing in companies who benefit from business in the courts and jet setting around the world at taxpayers expense. Last year for example, Lord Gill flew off to a five day state visit to Qatar – details of which have been kept mainly hidden from prying eyes. 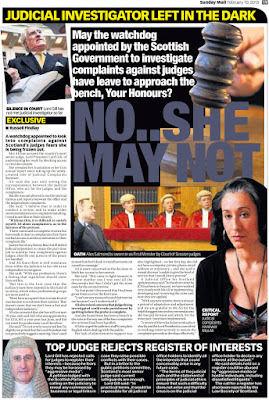 Following Lord Gill’s frequent attacks on “aggressive media” over calls for transparency - and the top judge’s subsequent threat to ban journalists from accessing court documents last year in a highly public fit of pique, Gill launched another broadside against the press for their reporting of cases in the courts. 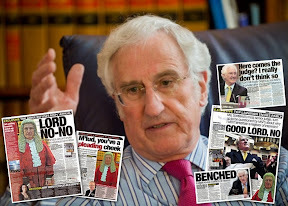 Gill said: “Criticism of one's judgments in the media is never a pleasant experience; but, as Lord Woolf has commented, we must swallow our pride and be thankful for a free press which stands to safeguard our independence. Independence relies upon public understanding of our courts and the way in which they should expect our courts to operate. Public awareness breeds public confidence. For most people, newspaper accounts of court cases are the source of their knowledge of our justice system. There is inevitably a tension in the relationship between the judiciary and the media. The court adjudicates on matters involving the media fairly frequently. Therefore, as Lord Woolf rightly observes, we should be circumspect about having a relationship with the media that might cast doubt on judicial independence. It is a fine line to tread. Gill ended his speech describing his idea of the “ideal judge”, notably leaving out transparency as a requirement for those on the bench. Judges, lawyers and academics from many Commonwealth nations attended the conference at the Scottish Exhibition & Conference Centre (SECC). Those organising the conference claimed the gathering of legal eagles generated an economic boost in the region of £1.4m for the city. 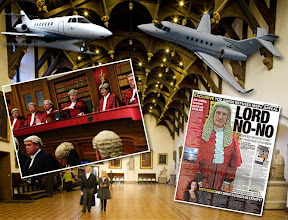 The conference - last held in 2013 in Cape Town, South Africa – which Lord Gill jetted to at taxpayers expense has been brought to Glasgow in partnership between the Law Society of Scotland, Glasgow City Marketing Bureau (GCMB) and the SECC. It is officially the conference of the Commonwealth Lawyers Association, which works to promote human rights and the rule of law across the Commonwealth, and to support lawyers in countries where their work may incur sanctions from the authorities. Just prior to the start of the event, it was revealed Wikileaks founder Julian Assange was booked to speak to the conference via video link. During his speech, Mr Assange suggested communications were being monitored between legal professionals and the wikileaks team. 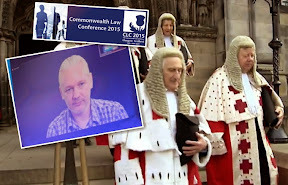 However, when judges discovered the Assange booking, several judicial figures including Lord Gill and also Lord Neuberger & Lord Hodge of the UK Supreme Court among others - walked out of the conference. 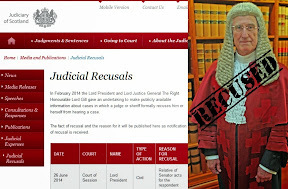 The Judicial Office have offered no further comment on Lord Gill’s remarks. Lord Gill’s new rules more like old - says former JCR. A TWO YEAR consultation held by Scotland’s top judge Lord President Lord Brian Gill on proposed updates to rules governing complaints about judges has been criticised by Scotland’s first Judicial Complaints Reviewer (JCR) as an “opportunity missed”. 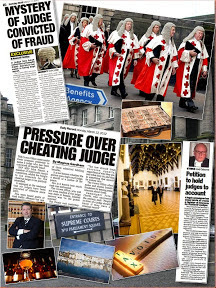 The proposed rules on judicial complaints, published by the Judiciary of Scotland only last week - coming two weeks after an investigation revealed the lack of activity by Lord Gill on the promised changes to judicial rules – bring little comfort for those seeking transparency and accountability in Scotland’s judiciary. 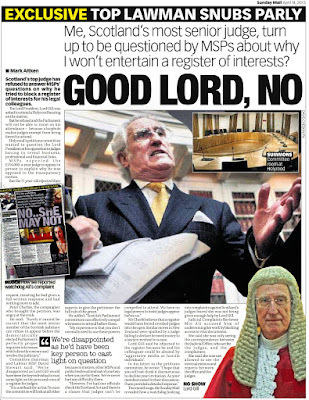 Lord Gill (73) also sent a copy of the consultation and rules changes to members of the Scottish Parliament’s Public Petitions Committee - who are investigating calls to create a register of judicial interests as proposed in Petition PE1458: Register of Interests for members of Scotland's judiciary. The Judicial Office claim the new rules and guidance for complainers simplify and streamline the process for dealing with complaints and make clear the matters that can properly be investigated. However, there is in fact little in the changes proposed by Gill which satisfy falls for increased transparency and accountability in the judiciary. 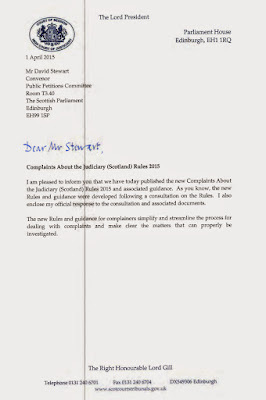 Consultation & rule changes feature in letter to MSPs scrutinising judicial interests register petition. 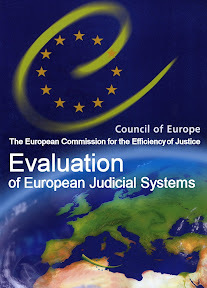 The proposals – which took the top judge an incredible two years to consider - in between international trips & ‘diplomatic commitments’ – do not include the creation of a register of judicial interests - which court users & legal teams could use to require judges to recuse themselves from hearing a case – rather than as the rules prefer – complain about matters to a judge up to three months after the event took place. While serving as Judicial Complaints Reviewer, Moi Ali launched her own consultation on judicial complaints procedures. 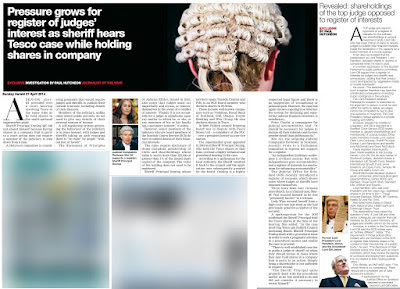 Among the small changes to the rules announced by Lord Gill, is a proposal to publish details of those who make complaints about a judge – as well as revealing the identity of the judge involved in the complaint. However, Gill’s idea to out members of the public in a bid to deter them from complaining about poor or dodgy judges may fall foul of data protection laws. Speaking on the Lord President’s idea to publish, former JCR Moi Ali said: “I note that the Lord President has included a new Rule which allows the publication of complaints cases. If this is a bid to increase transparency and to bring Scotland into line with England and Wales, where details of upheld complaints are published on the internet, then I welcome the move. However, I am concerned that the details of the complainer may also be published, as I fear that this may deter people from making legitimate complaints. Entirely innocent parties should have their confidentiality protected." The Judicial Office refused to make further comment on the small changes to the rules announced by Lord Gill. 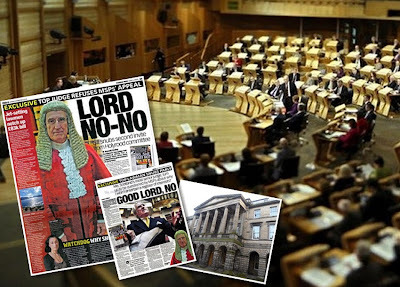 At a date yet to be decided in May 2015, the Scottish Parliament’s Public Petitions Committee will consider the rule changes proposed by Lord Gill - who has so far refused three invitations to appear before msps to answer questions on his hostility to judicial transparency and the creation of a register of judicial interests. 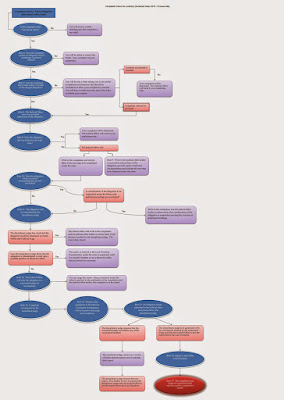 How YOUR complaint against a judge ends up in a tangle of judicial gobbledygook. As head of the Scottish Judiciary, the Lord President is responsible for making and maintaining appropriate arrangements for investigating and determining matters concerning the conduct of judicial office holders. The Judiciary and Courts (Scotland) Act 2008 makes provision for the Lord President to make rules in connection with these matters. 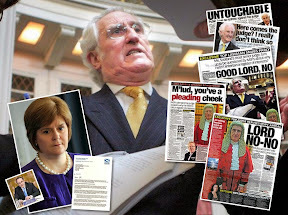 The previous Lord President made the Complaints about the Judiciary (Scotland) Rules in 2011. After two years of administering the Rules, some administrative issues had been noted and it was agreed that a review of the Rules should be undertaken. The Judicial Office for Scotland (JOS), on behalf of the Lord President ran a consultation for 12 weeks in 2013. 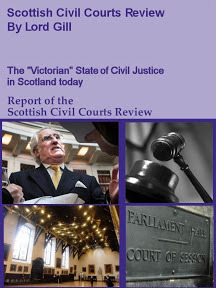 The consultation document sought views on several matters relating to proposals for revised Complaints about the Judiciary (Scotland) Rules and included draft rules. Listed among examples for complaints are: Use of racist, sexist or offensive language, Falling asleep in court, Misusing judicial status for personal gain or advantage, Conflict of interest.